Kalu Lal Shrimali, who is also known by the initials K.L. Shrimali, was born in Udaipur in December 1909. 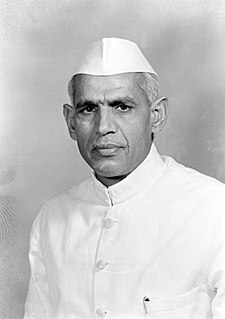 He was the Union Education minister for the Government of India and also a renowned parliamentarian and an educationist. He had his education from Banaras Hindu University, Calcutta University, and Columbia University, New York. Dr. Kalu Shrimali served as Minister of education in the Union Council of Ministers from the from May 1955 to August 1963. He also represented the state of Rajasthan for entire 10 years between April 1952 to April 1962. Dr. Shrimali was also associated with various educational and various social welfare organizations. He was also the editor of ‘Jan Shikshan’ which is a monthly educational magazine and had a number of publications. In the year 1976, Dr. Shrimali was awarded Padma Vibushan for his huge contribution to education. On 5th January 2000, K.L. Shrimali passed away at the age of 90 in the city of Udaipur. Dr. Shrimali was the cabinet minister who had served under the first Prime Minister of India, Pt. Jawaharlal Nehru.